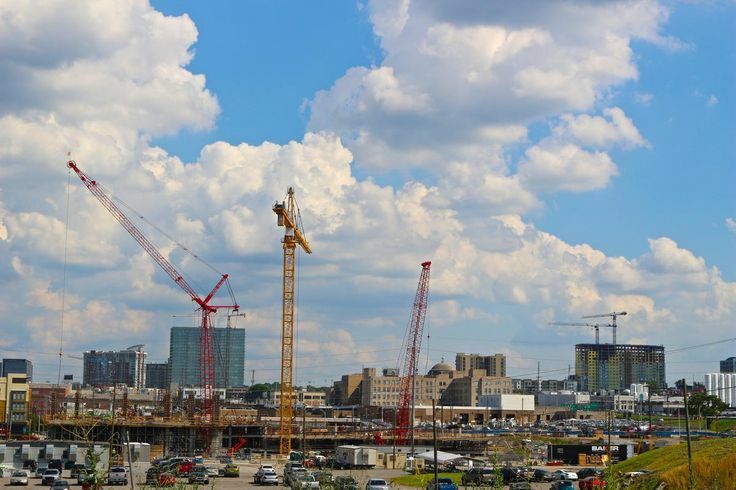 The numerous cranes filling the Nashville skyline are tangible signs of the impressive growth all around the metro area. As the totals rolled in at the end of the fiscal year on June 30th, it's almost difficult for me to wrap my head around the numbers. The 2015-16 fiscal year ended with $3.65 billion worth of building permits. That's billion with a "b." According to the Nashville Business Journal, that's more than the 2012-13 and 2013-14 fiscal years combined and averages 51 building permits per business day! To read the full article, click here. You can also click on the crane watch from this article to see the projects on the docket around the city. This overwhelming amount of building growth is just one sign of the area's strong economy. According to the U.S. Bureau of Labor Statistics, the unemployment rate in Middle Tennessee is at 3.0%, which is down from 4.7% last year, and it's less than the U.S. average of 4.5%. Nashville's population growth stands at about 100 people per day, which is at about 1.8% growth, as compared to the 0.8% growth nationwide. Last year in the Tennessean, Ralph Schulz of the Nashville Chamber said, "People moving to Nashville help bolster the housing market and their spending ripples through the economy, but they also bring their skills and knowledge to the marketplace and that makes companies in Middle Tennessee more productive and broadens the prosperity we all enjoy." Add all this to the lower cost of living, the vast number of parks and green spaces, no personal income tax, and the friendly faces you meet on the streets, and you can see why Nashville is definitely an "it" city. That can be a great thing for real estate. Owning a home and/or a business here is an investment in your future. Let me help you grow here!